How much does it cost to have a tree cut down? It depends on the tree! We can discuss your needs and provide a free, no-obligation quote. Do you remove all debris? We always ensure the site is thoroughly cleaned up. If you don’t want to keep any firewood or mulch, we’ll remove it. Can I keep any firewood? Can I keep any mulch? Yes, you can. We’ll put branches and other green waste through our chipper, and unload your mulch in a suitable spot. What if there is limited access to my tree? 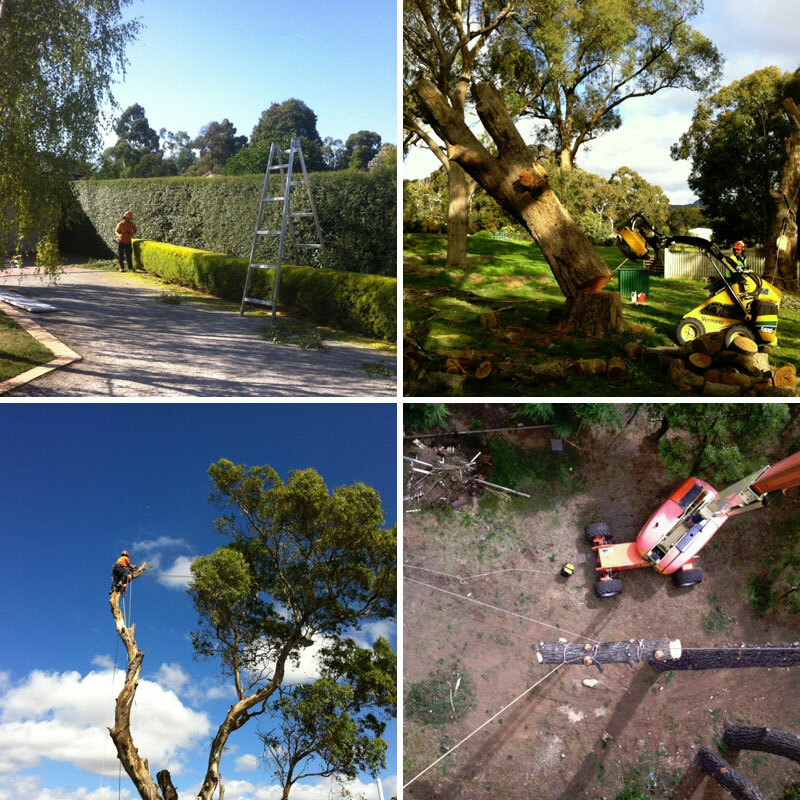 As trained and experienced arborists, we are expert at pruning in limited space, or where access is difficult. Our climbers are professionals and all branches are lowered on ropes to ensure no harm to the surroundings. Are you insured in case of accident? We are fully insured, with $10million public liability insurance and workers’ compensation cover. Do I have to apply for a council permit? Each property and council is different. While preparing your quote, we can also determine whether you will need Council permission for removals and assist with your application, if necessary. We do not require a deposit. We require payment after the job is complete. Cash, Money order, cheque, direct transfer, mastercard and visa.